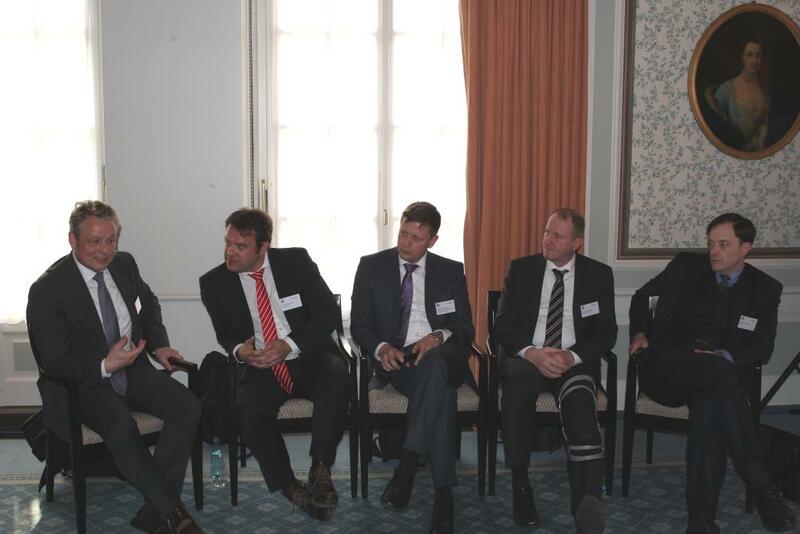 A top-class panel of risk experts from banks, universities and audit companies discussed the current state and the future of standard approaches, risk factor models, simulation and regulation on May 3rd 2016 in Frankfurt. 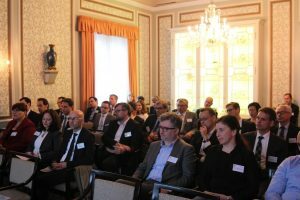 While a South Korean delegation was getting into the mood for the annual meeting of the Asian Development Bank at the Grandhotel Hessischer Hof, many risk managers from banks and other companies arrived in the room next door. The setting was perfect for the eclectic mix of experts, who maintained an interesting discussion for more than an hour. 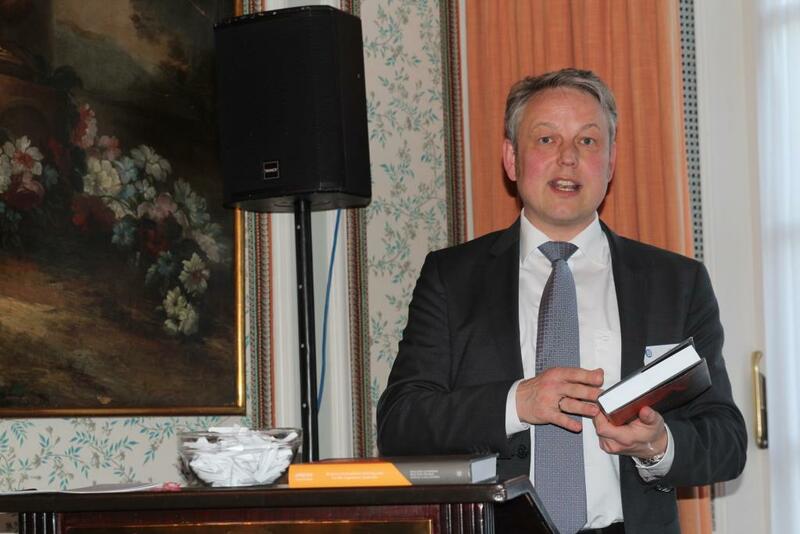 Roland Stamm, Partner at Quaternion Risk Management, was responsible for the organization of the evening and moderated the panel. The discussion was very dynamic and marked by both unanimously agreed and opposed analyses of various aspects of the status quo in risk modeling. The starting point of the debate was the statement that banks are, on the one hand, confronted with XVA and internal models with their more and more complex simulations. On the other hand, there seems to be a trend in regulation to use standard approaches more. The aim was to establish whether future risk modeling will be driven by innovation or standardization. 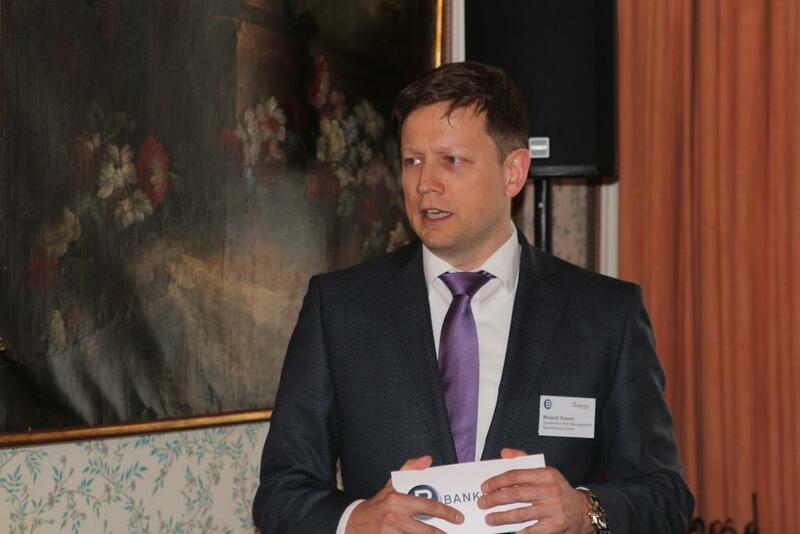 Christian Fries, Head of Model Development at DZ Bank, pointed out that there is a fundamental problem with using only standard approaches, namely that they are not capable of describing the actual risks of a bank adequately. An example would be the requirement to use a single valuation number. Such a number, however, depends on its usage and purpose, and thus an important goal has to be to get rid of discrepancies between accounting and market reality. Dirk Schubert, Partner at KPMG, put the focus on the communication between banks and regulators, although he also acknowledged that this is a rocky road. Patrick Büchel, Head of Market Risk Structured Finance at Commerzbank, added that the creation of the new regulation takes very long and always results in political compromise that is not necessarily the best result for anybody. The duration of the regulation process is also in stark contrast to the fast pace of change in the banking environment. Schubert mentioned that many banks did not participate enough in the process; as a result, a relatively small number of banks influence the direction for everybody else. Another topic was Roland Stamm’s question if the multiple value adjustments had a real background or if they were only used by larger banks to force complexity and opacity upon other market participants to exploit them. Christian Fries replied that most of the adjustments had a real background, but that he did not like the approach of adjusting some number because that implied that the number was wrong in the first place. They should be incorporated in the value directly. Jörg Kienitz, Adjunct Professor at the University of Cape Town, discussed how meaningful the focus on a value of a single trade is, given the obvious discrepancy between market practice and accounting requirements.